Berlin (AFP) – German Chancellor Angela Merkel’s spokesman on Wednesday condemned a visit by politicians of the far-right AfD party to the “inhumane” Syrian regime. “People who court this regime disqualify themselves,” said Steffen Seibert on the Damascus trip by six members of the Alternative for Germany party. 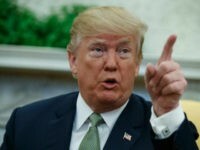 “The Syrian regime demonstrates on a daily basis how inhumane its actions are,” he said, noting that the suffering of civilians in Idlib, Aleppo and East Ghouta is “suffering that President (Bashar al) Assad ordered or condones”. The German foreign ministry was not informed about the AfD lawmakers’ trip ahead of time, a spokeswoman said. The group of six, comprised of four members from Germany’s national parliament and two state lawmakers, arrived in Damascus on Monday for talks with pro-regime officials and a tour they said aimed at getting a real idea of the situation on the ground. They said they were “surprised” at scenes of normal life in Damascus as they push their bid for Berlin to start sending refugees back to the war-torn country. 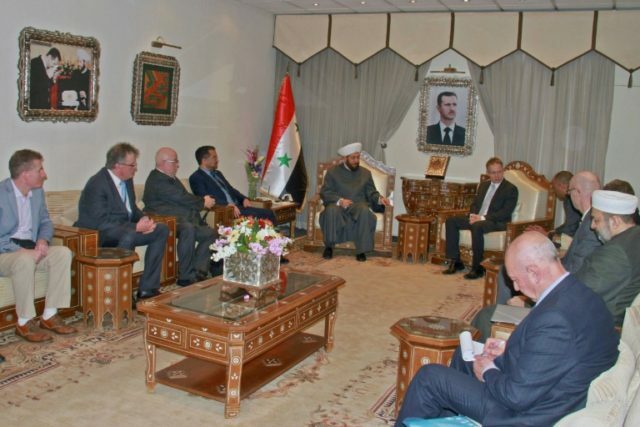 The group is being led by Christian Blex, a member of North Rhine-Westphalia’s regional parliament, who posted pictures on Facebook of his Monday meeting with Syria’s pro-regime Grand Mufti Ahmed Badreddin Hassoun. Hassoun often appears alongside Assad for religious occasions and has in the past warned against Western interference in his country, threatening terror attacks in Europe. The anti-Islam, anti-immigrant AfD entered the Bundestag for the first time last year, capitalising on anger over an influx of more than a million asylum seekers in Germany since 2015. Justice Minister Heiko Maas said Wednesday that parts of the AfD may warrant surveillance by Germany’s domestic intelligence agency. “At least some groups within the AfD appear to have set themselves up to become a new political home for neo-Nazis,” Maas told Der Spiegel weekly. As one of its first acts in parliament, the party proposed striking a deal with Assad to repatriate Syrian refugees, who make up the largest number of newcomers in Germany. The motion was rejected. More than 340,000 people have been killed and millions displaced in Syria since the civil war started in 2011.